This beginning Reiki class includes Holy Fire® III Reiki in the form of deeply healing Holy Love experiences for you, in addition to receiving comprehensive Reiki I & II training. This training is one of the most thorough available. It is a 2 day intensive that includes both Reiki I & II and is a combination of the Western style as introduced by Mrs. Takata and the Japanese style. In addition the Reiki energy is empowered by Holy Fire III. On completion of the class, you will be able to give Reiki treatments to yourself and others. You can get to the class dates and registration button by scrolling down toward the bottom of the page under Upcoming Events. Enjoy exploring your healing journey options! The nature of Reiki energy, why people get sick and how Reiki heals. Byosen Scanning: Using the sensitivity in the hands to locate areas needing healing, (usually in the aura) and to treat them. Sending Reiki at a distance. Reiki II symbols or healing frequencies: How to draw, activate and use them. Their many uses are explained and their inner meaning is discussed. Practice time is given so students know from experience how the energy of each symbols feels and the results each symbol produces. 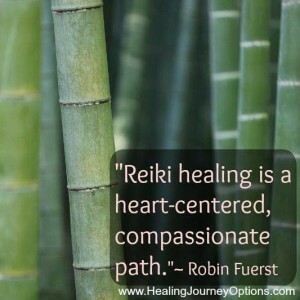 Placements (another word for the Rei-ju, initiation, attunement or connection with Source through Holy Fire) for Reiki I and II are given. The class is a combination of lecture, discussion, demonstration and practice time. Each student experiences giving and receiving a complete treatment using the intuitive Byosen scanning and the standard hand placement system. Practice time is given using all the Reiki II symbols as well as the for techniques mentioned above. A 192 page class manual, handouts and a certificate of completion are included. In the process of learning to be a healer, you will be practicing on each other and receive healing as well. This is a wonderful class for the beginner and is also valuable for those who have already taken Reiki training who would like a refresher. Continuing Education credits are also available for nurses, social workers, and marriage & family therapists and others. We’re going to have a great time and I look forward to seeing you in class. You can register for this class by paying the whole fee of $410.00, or by paying the non-refundable registration fee of $175.00. Deposit is non-refundable, but can be transferred to another class within 1 year. Your class balance of $235.00 is due 2 weeks before class and can also be paid online if you desire. Register and pay full amount 30 days before class starts and receive a discount! Robin was extraordinarily approachable and authentic. Her class was thorough & organic in its approach. for this energy to flow intentionally & with love. Thank you Robin for an amazing experience. I tried not to have any expectations but you and your class exceeded my secret ones. I have been drawn to healing myself & others; Reiki is definitely part of my future.